We’re on a mooring ball off Fernandina Harbor Marina at the north end of Florida. Sue maneuvered the boat while I grappled with the lines to get us attached. Worked a lot better this time. We’ll cross into Georgia early tomorrow. Making a schedule on a boat is usually a mistake, so we will not try to hold too rigidly to any schedule after mid April. Still, we have an overall plan for our trip. Obviously the time to be way up north in Canada is in the summer, just like we are down in Florida in the dead of winter. Spring is when we go up the Atlantic ICW, up the Hudson and start into the Erie canal. As fall comes and it gets colder we will be heading south on the Mississippi, Ohio, Tennessee and Tombigbee rivers. The loop is normally done counterclockwise, because going up those rivers against the current in the spring could be difficult. 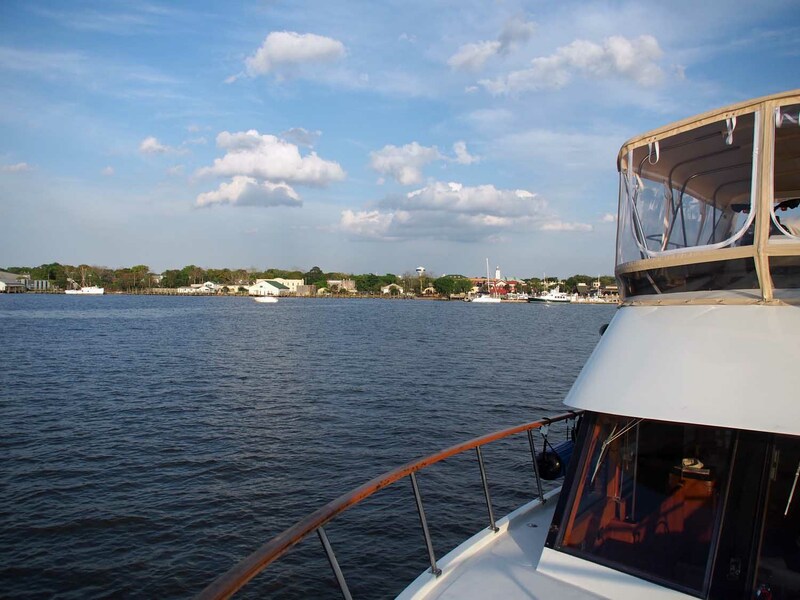 • Arrive in Washington, NC April 15 for 1 week of work on the boat. • Travel northward to Norfolk, end of the ICW, at end of April. • Arrive in Albany, NY (past New York City) in late May. • Travel the Erie Canal in late May to Early June. • Mid June to early July in Canada on the Trent – Severn canal. • August Travel Lake Michigan from North to South. • Travel the eastern rivers in September & October. • Arrive in Mobile Bay around start of November. It’s possible we’ll be delayed at the Erie canal. Historically it has opened as early as April 1 and as late as June 5. Our friends from Australia, Keith and Gayle Holmes, will be joining us June 1 until mid July, just in time for some heavy locking in the Erie and Trent – Severn canals. My sister Sharon and Paul Trepus are currently planning to join us mid to late July when we will be getting near Michigan. Paul’s brother and sister in law may join us as well during this time. Sometime in August our grandchildren are coming before their school starts. After that Sue and I appear to be on our own unless we hear from some of you. Since we saw much of the ICW up to Norfolk last year we are racing through at the moment to get to Washington, NC for some scheduled work on the boat. We are just taking a few non travel days in St Augustine, Savannah, Charleston and maybe two other towns on the way there. Our grand plan for next year is to spend a number of months on the Chesapeake bay, so we may travel more than we stop there as well. 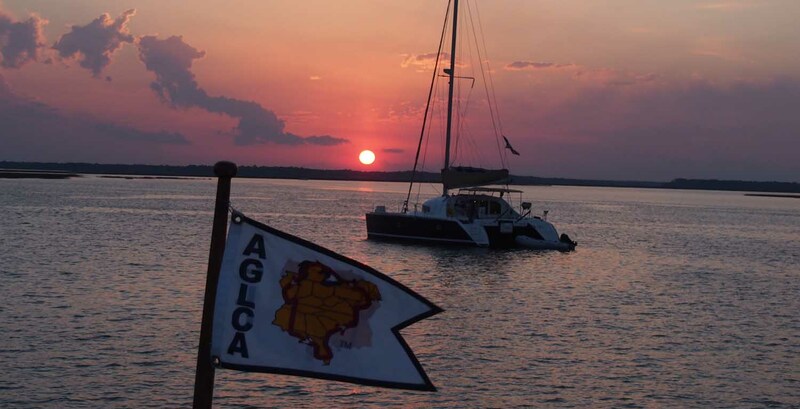 Sunset at Fernandina Harbor with our looper flag flying from the bow. We plan to slow down once we reach New York harbor, since it may be a year or so before we get that far north again. Let me know if anyone wants to join up with us for part of the trip down the rivers. It’s usually pretty easy to fly into a nearby airport where we can pick you up in our rental car or you can get a one way rental to where we are. We have beds on board even long enough for you, Richard.